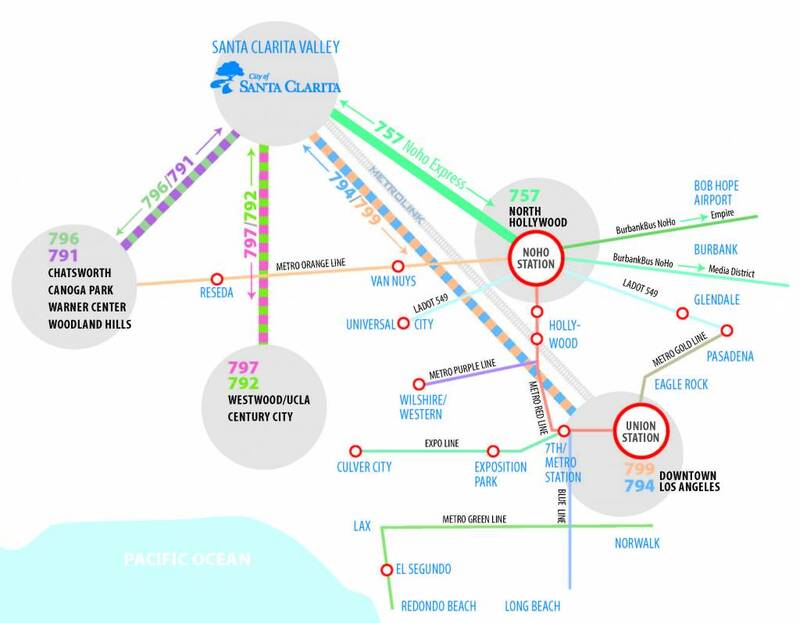 The City of Santa Clarita Transit Commuter Express offers a convenient, cost-effective, comfortable way to travel to Los Angeles, Warner Center, North Hollywood, and Century City. Skip the stress of driving in morning traffic and enjoy your commute in a reclining seat with ample leg room and overhead lighting for reading. Click on the interactive map below to see the many connection opportunities Commuter Express offers. The City’s Commuter Express Service operates Monday through Friday year round except on New Years Day, Memorial Day, Independence Day, Labor Day, Thanksgiving Day and Christmas Day.